Texas Orthopedics: Is weather a good predictor of joint pain? Is weather a good predictor of joint pain? 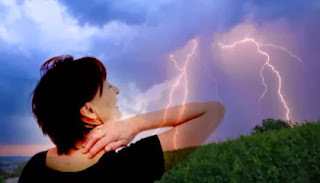 Many folks have speculated that certain weather patterns may affect an arthritis flare up. For example, there's not a cloud in the sky, but all of a sudden your joints start aching... could a storm be on the horizon? And what about this so-called 'Polar Vortex'? Is this unusually cold weather wrecking havoc on arthritis patients? Well, the answer is yes and no. There's no solid research confirming if weather has a direct effect on your bones and joints. But doctors who specialize in the treatment of arthritis (rheumatologists) generally agree that many patients experience a worsening of joint symptoms with climate change. We know that weather definitely affects certain medical conditions such as pollens in the air causing asthma flare ups or sinus infections, sun rays causing skin burning or skin cancer, cold weather inducing heart attacks and gloomy, dark weather affecting behavior (depression). We also know that heat packs or hot showers can relax the muscles and relieve stiffness and pain for some, while ice packs can help ease inflammation in the joints. So what's the bottom line? First, we don't recommend you pick up and relocated to Arizona or Southern California, as there are plenty of busy rheumatologist in those sunny, warm states! While we may not fully understand the exact causes of arthritis flare ups, a thorough exam and patient history will help shed some light. It will also help us determine if certain lifestyle and/or medication adjustments should be made for patients according to particular weather conditions that may influence their symptoms. Experiencing joint pain? 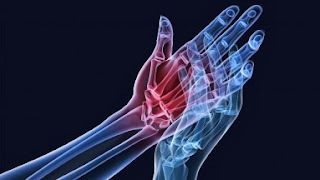 Contact us today to make an appointment with a rheumatologist. FREE joint replacement seminar this Thursday!